The LSAT is obviously a major part of the law school application and admissions process. Since many law school applicants must spend a considerable amount of time preparing for this critical exam, we invited Robert M. Fojo from LSAT Freedom to guest post on our blog on a periodic basis and provide our readers with helpful insight regarding all things LSAT. The following post is the first in a series of blog posts Robert will contribute regarding LSAT logical reasoning and fallacies in arguments tested on the LSAT. Enter Robert . . . If you want to practice law, you must be able to construct logically valid arguments. This skill is also important because it figures prominently on the LSAT. Most questions on the LSAT Logical Reasoning section present you with an argument for analysis. Each question then asks to do any number of things with it – e.g., strengthen or weaken the argument, dissect the analytical structure of the argument, or identify an argument’s abstract pattern of reasoning. Because most of these questions ask you to rectify flaws in the argument, the arguments on the exam are usually logically incorrect in some important respect. Your job as the test-taker is to identify these flaws and select the correct answer choice that reflects a given flaw. Beginning with this blog post, we will examine the ways arguments are flawed on the LSAT by looking at different examples of fallacious reasoning that the exam tests. There are approximately 26 logically incorrect argument structures that appear most frequently on the LSAT. The more you become familiar with the LSAT’s reasoning structures, the more you will recognize these structures when you encounter them on the exam, and the more quickly you will be able to analyze the problem and arrive at the correct answer. Many questions on the LSAT will ask you to choose the answer that best describes, in abstract terms, the logical flaw in an argument. Becoming familiar with the way the LSAT describes these logical fallacies will allow you to process these answer choices more quickly, since the language used in these answer choices repeats from exam to exam. The first fallacy we will address is the missing assumption. The most common pattern of incorrect reasoning on the LSAT is an argument that excludes an important premise or makes an unwarranted assumption. On the LSAT, you should take nothing for granted. Therefore, every premise in an argument should be explicitly stated so that the conclusion that results is valid. All girls like to play hopscotch. Therefore, Jane likes to play hopscotch. When presented as such, the argument and its conclusion are now valid, and there is nothing questionable about the reasoning. To improve sales, MishMash Corporation should begin and implement a social media marketing campaign. Such a campaign would allow MishMash to connect directly with its customers on social media. Studies have shown that a social media marketing campaign increases traffic to a company’s website. The conclusion of this argument is that MishMash Corporation will improve its sales if it implements a social media marketing campaign. However, all we know is that a social media marketing campaign will increase website traffic. The argument makes a faulty assumption that increased website traffic will lead to improved sales. Increased website traffic is not the same as improved sales. Increased website traffic may improve sales, but there is no evidence presented in the argument above that it would do so in this particular situation. Again, don’t take anything for granted on the LSAT! The faulty assumption in the argument above (that increased website traffic will lead to improved sales) makes this argument logically flawed. Your ability to spot the missing assumption in an argument is a crucial skill for your success on the LSAT. Always ask yourself, when reviewing an argument, whether there is a link missing between the premises and the conclusion. In the above example, the link was between increased website traffic and improved sales. Finding these missing links will help you on “assumption” questions and on the Logical Reasoning section in general. Looking for more help with your LSAT Prep? 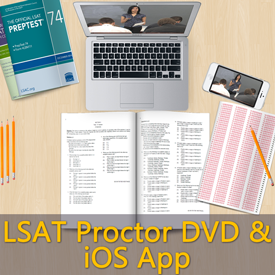 Check out LSAT Freedom’s convenient in-depth and reasonably priced online prep course.